How do I start my day right? 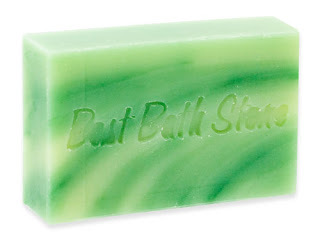 Well, after having my first coffee of the day, I step into my shower and immerse in the wholesome zesty goodness of my favourite lemon lime natural soap! Infused with luxurious essential oils for your skin like Olive Oil, Palm Oil, Coconut Oil, Shea Butter, Cocoa Butter, Almond Oil, Lemon Essential Oil, Lime Essential Oil and Turmeric Root, this zesty Lemon-Lime Body Bar is the perfect way to pamper your way through a brand new day. Whether you start your day early in the morning or late afternoon for night owls like me, the natural citrus scent is so refreshing; you can't help but feel immense rejuvenation to your senses as you bask in the soothing sensation of this zesty natural handmade soap! Have you tried using natural soap in your bath or shower? They're great for the skin; leaving you feeling fresh and clean all day. Best Bath Store is a great place to start your natural soap shopping online. I love shopping for bath and body goodies and this online facility offers a luxurious range of bath products made from 100% natural ingredients including my favourite bath bombs! 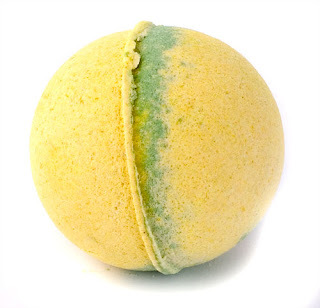 If I had a bathtub at home, I'd surely stock up on the Lemon-Lime Bath Bomb too, look how huge and enticing it is! LOL @ staring at those cupcakes! Tomo u ask R to get u some okay? Nearby only what in DU hahahaha! Recent blog:=- Friday Fill-Ins: William's, Lousy Week! i got problem lah GP.. i got to do over my LJC coz linkworth is saying it is not a blog and wont approve.. boohoo!! Yay!!! Another point for me! Yeap.. all ready for MM. you joining us this week?? LJ, u mean before dis LJC not in LW??? U wan to apply for the banner ads there? i applied the banner ads edi Mariuca! thing.. it got decline.. so sad.. I hope to join MM this week LJ, most likely will do at MPG, come chop later! sorry to hear that LJ! :( i don understand why they said it's not a blog .. I see… so how can u makeover LJC to get them to approve LJC…I think dia nak ada posts kut…? Yeap.. they want post and just picture like what I have now.. So u gonna write posts or what? Lecehnye LW! i hope the price that i put is not too high hahahaha! LOL got ur email sweetie and replied edi hahaha! Recent blog:=- Buffet Lunch At Seoul Garden! Recent blog:=- Do You Believe in Duplicate Content Penalty? i only use bar soap occasionally Monica!! i usually use a hydoxy body scrub!! Oh better to follow the doctor’s advice sweetie, how is the pregnancy coming along btw? Everything okay? How come u hafta login again Jackie? My wife is crazy about Lush and our bathroom smells fabulous but recently we found some sellers on the net with similar products but at much lower prices. Actually today I’m feeling lazy Tekkaus! But I do love to pamper myself with these yummy soaps and what not…can’t help it cause they all smell so good!